In the June primary, San Mateo County voters will see two candidates on the ballot for sheriff, the first time that’s happened since 1993, when Don Horsley was first elected to that post. We wish there were two better candidates in this race. This won’t be an easy choice for informed voters. 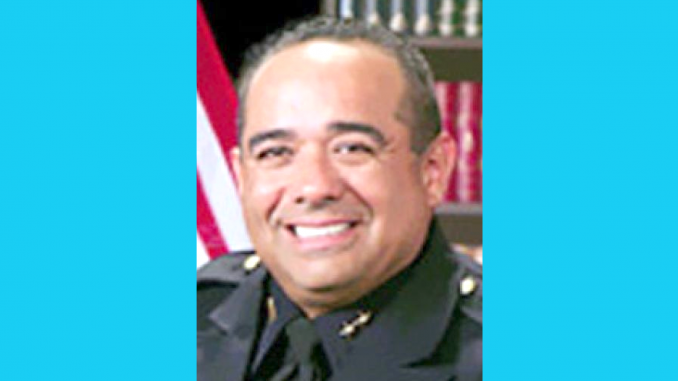 The candidates are Sheriff Carlos Bolanos, a former Redwood City police chief and county undersheriff. He was appointed sheriff in 2016, when Greg Munks retired. He is facing one of his own deputies, Mark Melville, who is currently assigned to patrol an area on the coast. A key issue for Melville is Operation Dollhouse, the 2007 FBI raid of a Las Vegas house of prostitution during which Munks and Bolanos, then the undersheriff, were detained. Prostitution is legal in many places in Nevada, but not in Clark County, where the raid took place. Munks and Bolanos weren’t charged. An FBI report indicates Munks went into the home while Bolanos stayed outside. When they got back to San Mateo County, Munks issued a brief statement saying he thought they were visiting a “legitimate business.” After that, Munks dodged questions about the raid. We recall a June 18, 2009, interview Munks gave to a Post reporter about the campaign for a new jail. At the end, the reporter asked about the Las Vegas incident. Munks abruptly halted the interview and ushered the reporter out of his office. By staying silent about the incident over the years, Munks kept a cloud of suspicion hanging over himself and Bolanos. When we interviewed Bolanos the other day, his attitude was very different. He was willing to talk about the incident without flinching. But he was adamant that he did nothing wrong that night in Vegas. “I refuse to apologize for something I didn’t do,” Bolanos said. And nobody has been able to prove that Bolanos did anything more than stand outside that brothel while Munks went inside. The suggestion that Munks and Bolanos were lax on prostitution isn’t supported by the record. The North Fair Oaks neighborhood in unincorporated San Mateo County, where the sheriff serves as the local police department, was previously littered with massage parlors that, according to online rating sites, were actually houses of prostitution. In 2015, the sheriff’s office — headed by Munks with Bolanos as undersheriff — worked with code enforcers and the county counsel to shut down nine parlors. It was a considerable achievement that hasn’t been brought up in this campaign by either side. While Bolanos doesn’t deserve a free pass for his involvement in the Vegas incident, nobody has been able to make the case that his department is enforcing the law any differently because of it. Generally, we’ve liked what we’ve seen during Bolanos’ time as sheriff. The department has been more transparent, there have been very few instances of unprofessional conduct by deputies, and Bolanos has demonstrated that he’s fiscally conservative when spending the public’s money. He’s reached out to the Latin community, which can be a difficult area for law enforcement agencies given the apprehension over immigration policy. His cooperation with ICE is dictated by state law, and Bolanos has been following that law. He has said repeatedly that his officers will not be asking about the immigration status of those they contact, and he doesn’t feel county deputies should enforce federal immigration law. 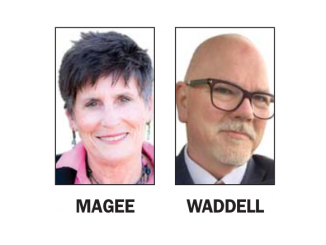 We question whether his opponent, Melville, would be capable of running a large sheriff’s department with 800 employees. It was disappointing that none of the county’s police chiefs or sheriff’s captains entered this race. Anybody who succeeds in one of those jobs would automatically be considered a strong candidate for sheriff. Melville, currently a patrol deputy, does have executive experience, though not on the scale of running a major sheriff’s office like the one in San Mateo County. He was a city councilman in the small Central Valley town of Gustine (population 5,520) from 2002 to 2006. The Merced Sun-Star said he was fined $400 by the state Fair Political Practices Commission for not reporting on his financial disclosure forms that he owned a consulting business that worked on city projects. 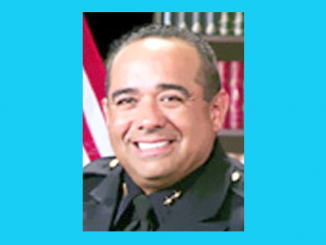 He was city manager and public safety director in Livingston (population 13,058) from 1999 to 2002 and held a similar position in Gustine from 1988 to 1999, working as its city manager and police chief. We give Melville credit for jumping into the race and offering voters a choice. While neither is the perfect candidate, Bolanos wins our recommenddation because he has the strongest record and the most experience. This endorsement is terrible…the deputies are overworked and miserable. Bolanos is a bully that lies blatantly to the public. Anyone that wants to speak up fears losing their job or having their lives ruined by him. Lynn, what did Bolanos blatantly lie about? Your criticism would have more validity if you were specific. It’s sad to see that the loony trolls in this county have jumped on to Melville’s campaign. Did he ask for help from them, or did they just attach themselves to his bandwagon? Bolanos wasn’t arrested in Vegas, he wasn’t charged. 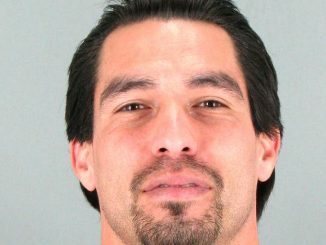 Michael Stogner has had 11 years to dig up something — anything — that would show criminal activity on the part of Bolanos. We have nothing more than we did 11 years ago. No evidence from Stogner, just rumors, speculation, “what ifs” and conspiracy theories. It’s put up or shut up time, Stogner. All these ego-driven & dirty guys, Munk & Bolanos & Trump & Clinton & Schwarteneggar & Barry Bonds & more, lie & cheat & fib & twist & distort & damage like pros, it’s part of them now, irreversible & permanent. Vote NO for them, try someone untainted & new & apparently clean as a whistle !